The Lotus Douglas sandals are perfect for exploring in this summer! A trio of Velcro straps offer a secure and supportive fit, whilst the cushioned footbed ensures every stride is comfortable and the cleated sole unit aids underfoot grip. 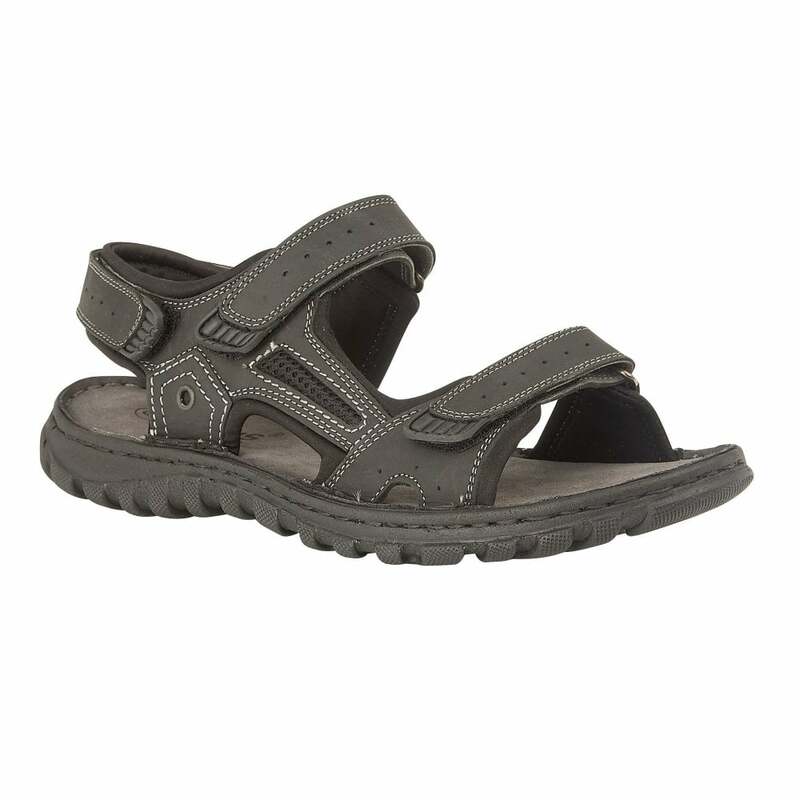 These black men’s sandals with contrast stitch detailing are a summer must-have and a holiday essential.